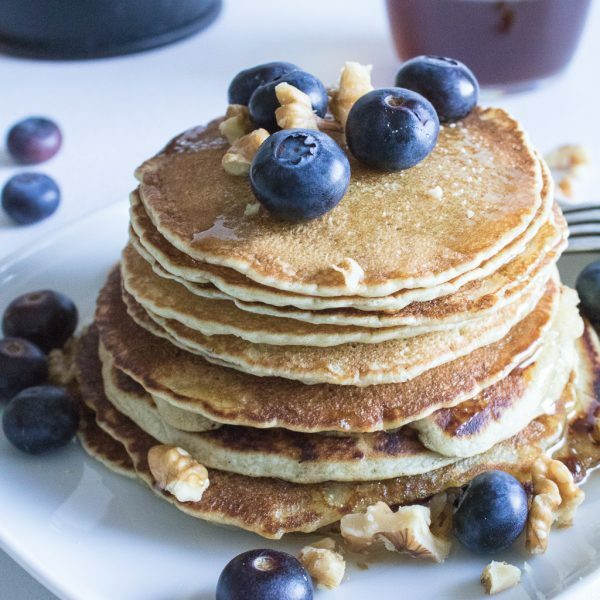 This recipe for mini vegan pancakes turned out to be really successful and I was looking forward to share it. I was lucky to find fresh blueberries and I really tried making them look beautiful for the photos. 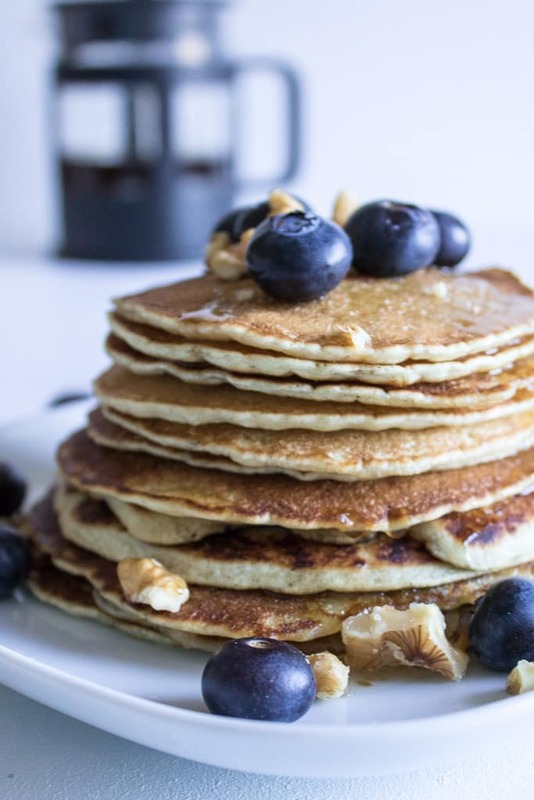 There are so many recipes for vegan pancakes but when I start checking them I see all sorts of products I rarely use… For this recipe you don’t need many ingredients and the only thing that’s more irregular is maybe the nut milk. It’s already been sold in almost all big stores and it’s also easy to make at home. I always have almonds and make milk myself, if I need one cup of it. 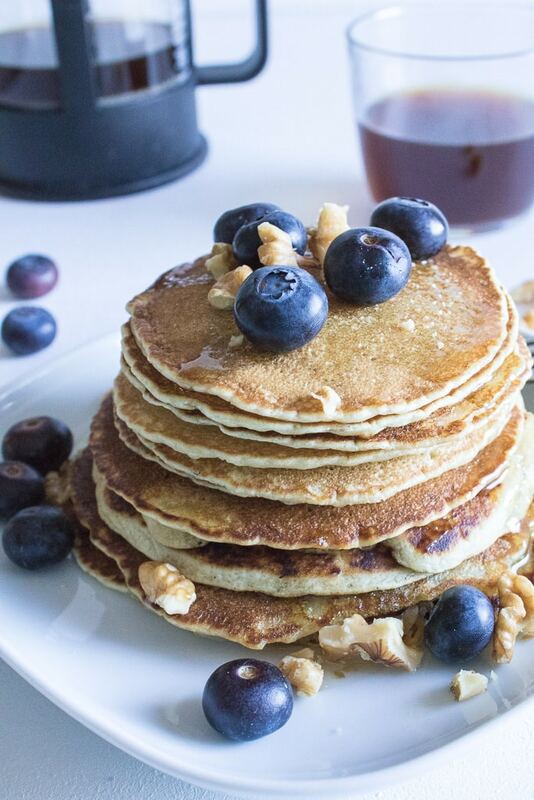 Mini vegan pancakes – vegan pancakes which have great taste but are also easy to prepare. Mix the dry ingredients in a large bowl, add the veggi milk, the vinegar and the sweetener (maple syrup, agave etc). Mix well. The mixture should be smooth but a little thicker than mixture for ordinary crepe. Heat up the frying pan at low temperature. If the frying pan has good non-stick surface, you won’t need oil. If not, use a few drops of oil for each pancake. The coconut butter makes the taste great, if you have some, don’t hesitate and try it 😊. The pancakes are made small because they are thicker and tear up when turning. I use a small sauces spoon and form a pancake with diameter of 12-15 cm. They are fried for like 20-30 seconds each side. Garnish as you wish, with fruit and honey agave or maple syrup.